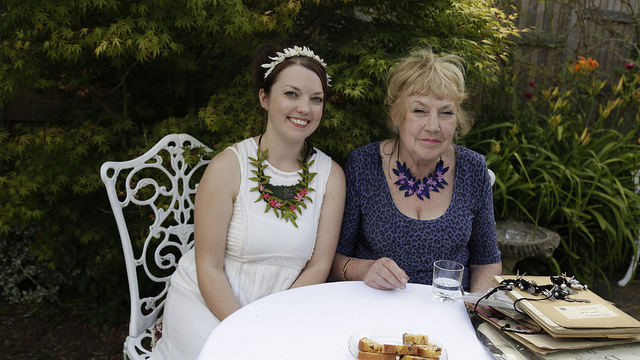 The Amazings are having a fabulous competition, open worldwide. 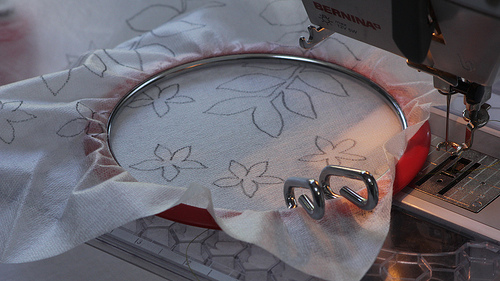 The new class, featuring Gilda (an Amazing) and Lara (editor for Mollie Makes), is Machine Embroider a Textile Necklace and if you take the class you can enter to win a sewing machine worth up to £300/$450! I was given access to the class so that I could do a review for you and share the competition. 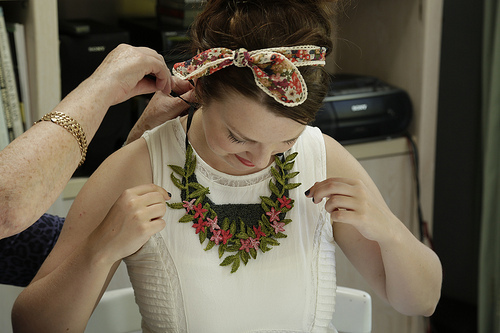 The techniques used in the class were totally new to me so I was excited to see how the necklace was created. Gilda really explains each step thoroughly and Lara asks questions that beginners might have so they cover all the ground. The conversations make it feel even more like being part of a class and are peppered with great tips and Gilda's wisdom. Of course there are supplies that you need to make it but, other than the soluble cloth, most of the things you need you probably already have (if you sew) or can buy cheaply and they offer alternatives so it can be done without purchasing a lot of expensive items. It is such a playful technique, just like colouring in. You can easily correct mistakes and I like the fast and furious pace you can use once you've got the hang of it, my kind of sewing! 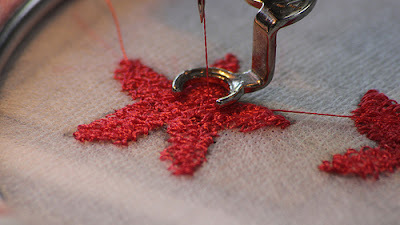 I love how all those zigs and zags and whimsical stitches make such pretty and delicate looking embroidery. Despite knowing the soluble fabric would dissolve it was still exciting to watch the finished elements emerge, putting it together was simple and the final result is a really unique and beautiful necklace. I don't usually wear necklaces but I really want to try this out and it could easily turn into a headband instead. 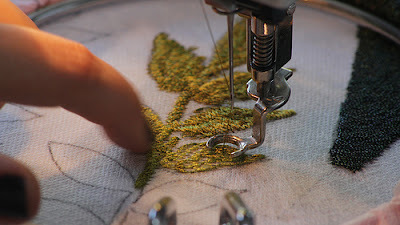 I genuinely felt inspired watching the class and enjoyed seeing more of Gilda's detailed work and how she uses machine embroidery. There are lots of other possibilities and uses for this technique so it is well worth watching and the sewing machine competition is an amazing added bonus! 1. 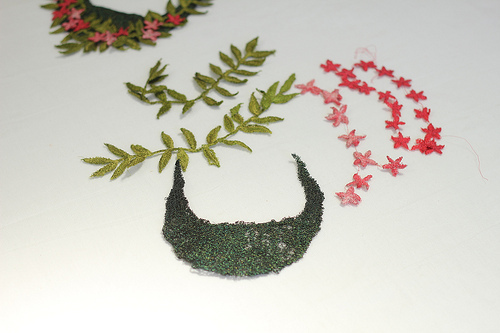 Purchase the Machine Embroider a Textile Necklace class. 5. Entry is available to crafters worldwide. 6. Full rules available on the competition webpage. Can't fit in doing something else Lucy! Amazing! I had a friend demo-ing this at a guild meeting not long ago. Its such a cool technique. I have been meaning to give that a go for a while!